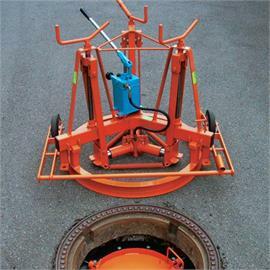 Round or square drawable manhole frame lifters with an inside diameter of approx. 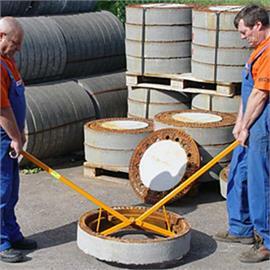 600 mm can be lifted by the mechanical working method with these manhole frame lifters or completely replaced. 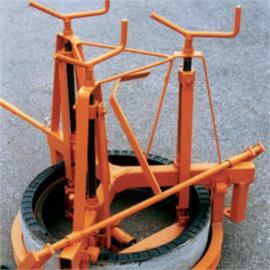 Operated for over 25 years and proven a thousand times!